Fred Wilson had a recent post, Revenue Traction Doesn’t Mean Product Market Fit, that really hit home for me. In it Fred talks about how he has seen startups fail because they rush into selling before they have really found the right mix of product features, marketing and customer need. I’ve seen this in startups as well, particularly with startups lead by founders that come from a sales or business development background. There are a couple of cases where this gets the startup off track. First off sales focused founders that come from big companies are used to having a sales focused organization and infrastructure. That means investing not just in sales people, but sales support staff like coordinators, account managers and sales engineers. None of those people are engaged in building any part of the startup’s product but they are burning through precious startup cash. Sales founders also focus on the right metrics when the company is ready to sell, but the wrong metrics early in a startup lifecycle. Spending time to setup a Salesforce.com system to track the revenue funnel is fine, but not if you don’t invest in application or site analytics to tell whether or not users are engaging with your product at all. The second reason startups led by sales focused, as opposed to product focused, founders is that the point of sales is to never take no for an answer. I’ve known too many salespeople in my life for whom “no” was just a “yes” that hadn’t happened yet. However in the early stages of a product that “no” may be accompanied by invaluable feedback and insight about how to improve, or how to create something new that truly meets customer needs. 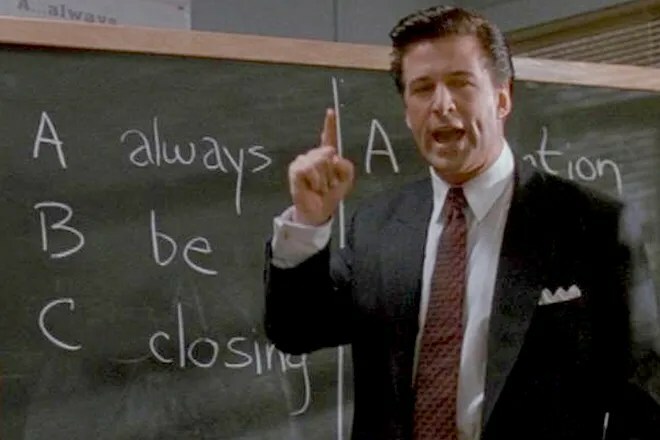 When the focus is too much on closing sales it’s too easy to push other levers like lowering the price or making future feature commitments just to get the deal. It’s worse for when startups try to land a “strategic” customer — some usually large market leader that could anchor a press release or get the attention of investors. Suddenly the startup is spending all it’s time and the development team is distracted just to focus on this one “strategic” opportunity while product quality, team productivity and eventually morale suffer. I’m not saying that all startups with salespeople as founders are doomed no more than I would agree with people who tell startups not to hire MBAs. I am saying that unless a founder with a sales background can put that history and experience aside to focus on building the team and the product first before they go chasing every sale, it does create some really big barriers for the company to overcome. John we’ve both seen what can happen when you’re selling before you’re ready. Doesn’t do anyone — not the customer or the team — any favors. So what if you’re starting to run short on funding? Is it more important to find additional money (and give up some more equity) to make a better product, or to go ahead and release the latest iteration as a MVP in order to start bringing in revenue? From the opposite end of this spectrum, you also have to make sure you’re not holding back a good product in order to produce a great one (which seems to be a common curse among programmers). From the outside, it looks like having a good mix of both sales people and programmers making decisions can help alleviate a potential problem if both releasing too soon or waiting too long. Garrett, I always find the idea of being unwilling to give up equity as funny. I get that people are afraid of losing control and I’m seen investors turn off the lights when the team was still convinced there was a fight worth fighting. That said if your only option is to turn off the lights but keep 100% of nothing, or trade a big chunk of that equity for the chance to fight another day isn’t it simple math? I’d rather have 10% of a billion dollar company than 100% of a zero dollar one. Thanks for the reply. I wasn’t trying to imply antsiness in giving up equity for more money in order to make a better product. That I’m completely comfortable with, for the same reasons you described above. I was really wanting to ask whether you think it is best to release an OK product early on, or to take more money and release a better product in 6 months. I suppose this is an arbitrary question that really can only be answered case-by-case, with the most important question being whether the OK product could be adopted at its present development stage. Great post, by the way. Always important to recognize that selling a product that is really too rough around the edges for buyers to adopt and enjoy using prevents an opportunity for word-of-mouth sells, and is actually detrimental since it is easier to voice discontent with a product now than it has ever been. Thanks!